Use this HP 15.6" screen laptop to get work done or to enjoy games and videos during downtime. With 4GB of memory, a 1TB HDD and Windows 10 operating system, it allows you to store and play all of your favorite music and movies. Thanks to an antiglare, high-definition display, it's easy to binge watch streaming shows or accomplish work tasks with a clear view. 15.6" HD screen provides 1366 x 768 resolution for vibrant picture quality. Features WLED-backlighting for a thinner and more energy-efficient design. Antiglare design promotes easy visibility in bright lighting, so you can work outside or under fluorescent lights without distortion. Powered by 7th Generation Intel Core i3 processor. Get the speed you need. 4GB of memory is available. Memory is not expandable. 1TB (1000GB) hard drive holds your songs, photos, files and documents. Multiformat digital media card reader enables easy file transfers. Memory card sold separately. 2 USB 3.1 ports for ultrafast data transfers. USB 3.0 is up to 10 times faster than USB 2.0, yet fully compatible with USB 2.0. USB 2.0 port provides simple connectivity for a wide range of peripherals. Front-facing Truevision HD webcam features an integrated digital microphone for video chatting and voice messaging. Bluetooth® wireless technology lets you connect peripherals, such as speakers and mobile devices, without plugging in any cables. Full-size, island-style keyboard with a numeric keypad allows simple data entry. 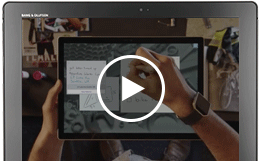 Touchpad with multitouch gesture support enables easy, intuitive navigation. Stays powered for up to 9 hours and 30 minutes before recharging is needed. Battery life will vary depending on the product configuration, product model, applications loaded on the product, power management setting of the product, and the product features used by the customer. As with all batteries, the maximum capacity of this battery will decrease with time and usage. With the latest Intel® Core™ i32 processor you are guaranteed the reliable performance you need to work and play. 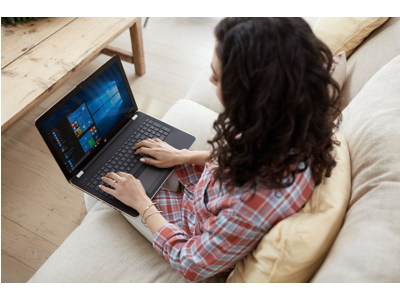 Enjoy long-lasting durability on a laptop designed to do what you want with ease. Stay entertained and keep connected with friends and family with a long-lasting battery, rich HD display and HD camera.3 Plus, easily store and enjoy your favorite music, movies, and photos.